Planning the perfect trip means taking into consideration not only the destination but also the means of transportation. Charter bus rentals are a great option for group travel. From community sponsored events to corporate conferences and seminars, charter bus rentals will allow your group to stay comfortable and relaxed throughout the journey. Cleveland isa city located in northeastern Ohio on the southern shore of Lake Erie. It is approximately 60 miles west of the Pennsylvania border. There are many activities to join, attractions to see and events to experience.With group charter bus rentals, can plan your charter bus travel adventure to Cleveland today! As you may have heard before, Cleveland is the home to the Rock and Roll Museum but there is more to it than that. All you have to do is experience the beauty of the city for yourself. Cleveland charter bus travel to the Rock and Roll Hall of Fame and Museum, one of the premier attractions in Ohio. You can also schedule a charter bus travel stop at the Greater Cleveland Aquarium which has ten aquarium exhibition areas and thirty five tanks. They also feature a touch tank exhibit which allows tourists to touch the showcased marine life. 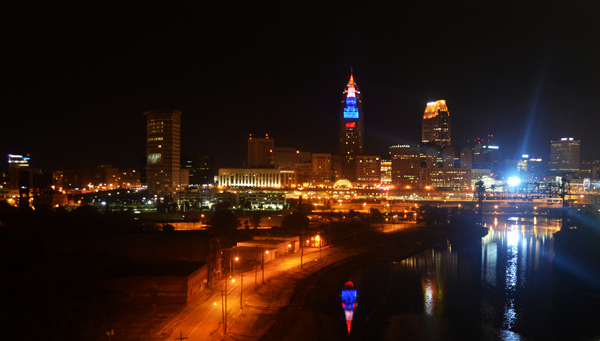 Charter bus rentals can take you to Cleveland and let you experience the city’s culinary scene. 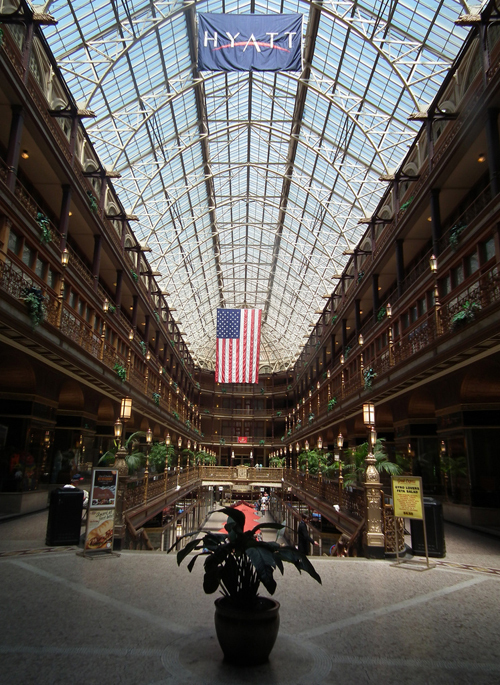 Cleveland is a great place for a selection of restaurants and they also have an iconic public market that represents more than one hundred ethnicities. The city’s best kept secret is the appeal of its neighborhoods. You can discover the wonderful city of Cleveland by taking a tour of its neighborhoods through charter bus travel. The city also has Playhouse Square, the second largest performing arts center in the US, beautiful parks surrounding the city, several major sports teams to cheer for and a fun amusement park that the whole family can enjoy. Another stop for the Cleveland charter bus travel is the Cleveland Museum of the Arts which you can visit for free. Another attraction to visit is the Cleveland Metroparks Zoo which has an exhibit of prehistoric dinosaurs through animatronic technology. There are so many fun things to do and so many attractions to see. Charter bus rentals can provide comfortable bus travel for your group event or outing. To know more about the charter bus rental options,call 888-345-2037 today! Charter bus travel is the right choice for corporate outings, group tours and special events.